We at Stuff 4 Cakes take great care to ensure your personal information is kept private. We store only the minimum amount of information from you necessary to make a transaction. We never store your credit card or laser details. They are handled by the secure servers at either Sagepay or PayPal where the payments are handled. Your personal details will never be passed on to a third party. They are 100% secure. PayPal provide state-of-the-art technology to allow you to shop with 100% security online. PayPal enables you to pay without sharing your financial information with sellers. Not only do they help keep your financial information private, they guarantee 100% protection against unauthorized payments sent from your account. For more information, go to paypal.com. When you log in to stuff4cakes.ie, we place a small piece of information, a cookie, on your machine. This is necessary so that we can track your shopping cart selections between pages and that we know you are logged in to stuff4cakes.ie. None of your personal information is stored in this cookie and it is removed from your machine as soon as you logout of the site. You will need to have cookies enabled on your browser in order to use our online shopping service. If you do not accept cookies, you will not be able to use this website. All orders placed with Stuff 4 Cakes are treated with strictest of confidence and are never discussed or shared with anyone but the person placing the order. Only authorized employees of Stuff 4 Cakes have access to customer information and this will never be shared with a third party. Food safety and hygiene is our top priority. We would also like to assure you that all goods are stored and handled in a professional and hygienic manner at all times. For this reason we cannot accept returns of any edible product or any item designed to come into contact with food such as cake boards, even if the item appears to be unopened. The exception is, of course, if the item is faulty or incorrect in which case we will be happy to exchange it at our expense. All prices are shown in Euros and are inclusive of the current rate of Irish Value Added Tax (23%). NB.Please note that if you choose to pay by bank transfer, cheque or postal order, your goods will only be dispatched once payment has cleared. 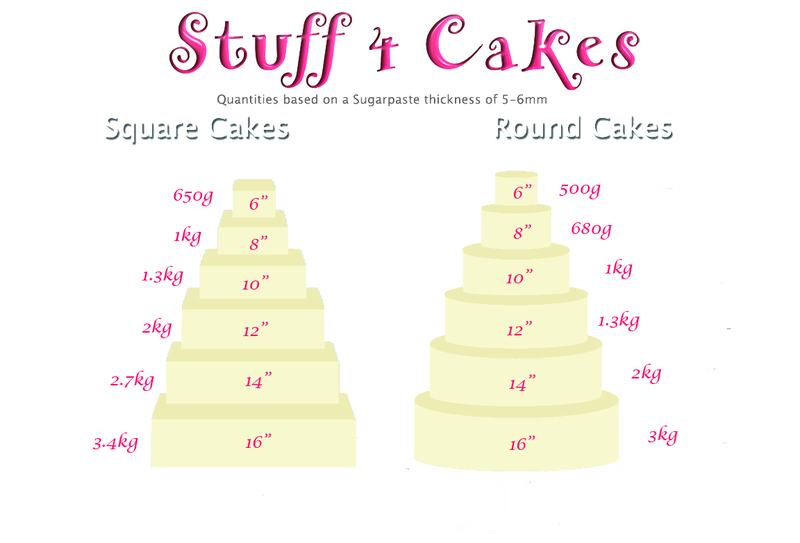 By ordering from Stuff 4 Cakes you are showing you agree with our Terms and Conditions. This policy does not affect your statutory rights. Please Note: Our couriers collect from us Monday to Friday (excluding Bank Holidays) multiple times throughout the day. 16.15pm being the latest! Important to Note: A delivery charge of €5.50 will be incurred if the original order value goes under €50. The exception is, of course, if the item is faulty or incorrect in which case we will be happy to exchange or refund it at our expense. Please check your order fully as soon as it arrives to you. We record all orders on camera being packed so we can get to the bottom of any issues as quickly as possible. We do ask that you double check your parcel when you receive it as mistakes cannot be rectified after one week of you receiving your order. We do our absolute best to ensure you always receive your correct order but mistakes can happen. If we have sent you the wrong item, we unreservedly apologise for any inconvenience & will do our utmost to rectifiy the mistake as soon as you let us know. If we have made a mistake, we can immediately offer a refund or send you out the correct item at our expense. If an item is faulty or damaged in transit, we ask that you provide us with a photo so we can resolve the issue as quickly as possible. Certain products that we stock are packaged in plastic tubs eg. Select Icing, Saracino Modelling Paste, Cake Duchess Modelling Paste etc. We assure you that we only dispatch goods in perfect condition that are prefectly sealed. On rare occasions, this particular packaging may get cracked or damaged in transit. If you order these products, we do not accept responsibilty for any damages as the product is perfectly sealed inside.